I’m used to hearing pastors boast about what a great day of worship it was. Their Facebook and Twitter feeds tell the story. 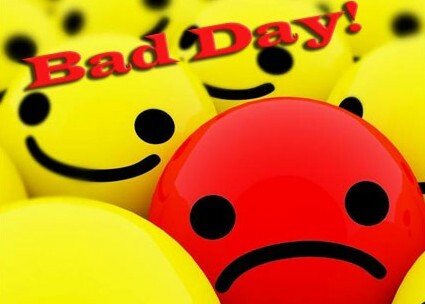 But not every day can be a great day! I had one of those not so great days yesterday. I came home tired and feeling somewhat discouraged. Also, there were a lot of people were gone from our gathering and I felt like my sermon sailed like a lead balloon. This is not to say that everything was bad, as our worship and adult class was great (as they always are). Yet, what do we do when we encounter a not so great day? As I ask this question, I do find it ironic that I preached from Ephesians 6:10-20 which is all about the spiritual battle that Christians live in and how lean into the victory God has already won for as we pray. As I reflected on this passage again last night it dawned on me that it is Satan who want to use those bad days to drive home a spirit of discouragement. So pastors, if you find yourselves feeling discouraged because of a particular not so great day, let me offer this encouragement: Remember that bad days are just as natural as good days. Not every day can be a great day. But don’t let Satan have that bad day either. Give it to God in prayer and allow God to fill your heart back up with the encouragement that comes from his Holy Spirit. Yesterday was not the greatest day but today is going to be better… To God be the glory! This entry was posted in Columbia Church of Christ, Faith, Leadership, Scripture. Bookmark the permalink.